We begin the discussion of romantic love relationships with the ultimate kind: that of twin souls or twin flames, as they have been called. We do so because this next decade will see record numbers of twin souls uniting on Earth. This drawing together is the result of the work of light workers through the last seventy some years and was planned for. Much has been written and discovered about this special soul bond, and we will but add to the understanding. What do we mean by twin souls? When every spark of consciousness is born in the universe, it is born whole from the consciousness of Oneness. As it ventures out to experience its own creative force, it divides into two in the second dimension. 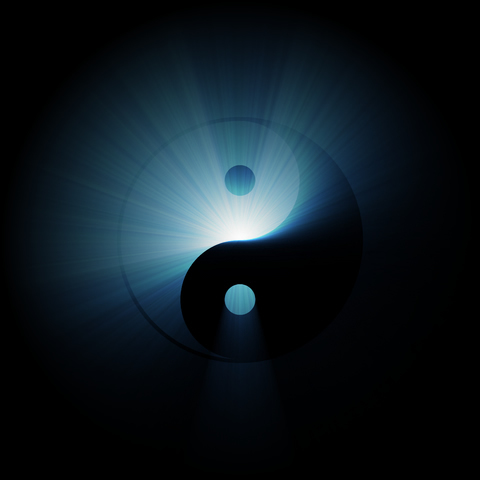 Thus the soul spark divides into two distinct, but forever connected soul sparks, each expressing the opposite of one another, but also retaining the highest spark of the other. 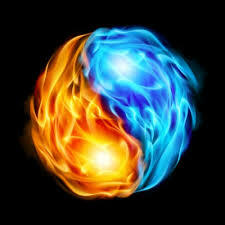 As the two souls develop, they experience more duality in the third dimension. As they become more aware of the truth of existence approaching the 4th dimensional perspective, they are drawn together again to create something new that they can only do together with their highest aspect found in the other spark. As your 3D species expands into a 4D awareness it has the potential to see beyond duality into unity consciousness. Though there is still the perception of separation within this level, there is also a recognition of the sameness within the spark and the separate souls have the opportunity to work together as a more powerful whole being. Upon working in this unified manner, the soul then develops to a 5th dimensional awareness of complete unity. And they once again become One soul in the universe. Human beings of Earth are at the stage where they are beginning to find their twin souls, the being that is representing in this incarnation the other half of their original spark. Many are incarnated now at the same time. Anyone alive today may have their twin soul partner alive with them and thus they have the potential to unite in this lifetime. We clarify that a twin soul is a one of a kind soul relationship. You all have many soul mates which are souls that you have incarnated with on many occasions, playing various roles in each others lives. These souls were drawn together over incarnations based on soul inclinations that were alike, or frequencies of attraction, and then the relationships were perpetuated based on continued interactions through time. You very likely have not incarnated before with your twin soul, because you purposely went separate ways to diversify your soul experiences. However, when you do unite with the person that is your twin soul, you will experience a profound sense of familiarity that is akin to a sense of finally truly being home. There will be a feeling of safety and comfort at the core of your being. This sense may be utterly illogical. It is not a safety that is rational, but rather a deep calm of your spirit and a feeling of melting into the soul of the other. Many may not acknowledge this feeling at the surface of their emotions, but there will be something within that they cannot explain by any rational means. The coming together of twin flames can be so powerful that there often will be a lot of hurdles for the two to overcome in order to unite. At least one of the two will usually need to be aware of their soul and have a degree of development in sensing energies to be able to take advantage of this encounter. Often these two will flat out repel each other because the potency is too much for them to handle. Or one will block out the energy and retreat if they do not allow themselves to open to the other half with grace and ease. When they do open, even in the slightest degree, rockets can take off, so this is often a reason for retreating. Rockets can come with a huge blast and blow their whole known life away! If they do not take it slowly, one or both may simply not be able to handle the aftermath of the blast. However, if they can each slowly open to the other, then they will find many magical things occurring and the truth of what they are will create a beautiful blossoming. These unifications will be changing the world as you know it in the coming years. It is the lack of this unity that has caused so much struggle and misunderstanding between seemingly opposing forces in your world. When the twin souls begin uniting in greater numbers, opposites will begin empathizing with each others views and this will be reflected throughout your cultures. True social unity will begin with twin soul unity. On the exterior, the two could be quite opposite in their natures. Twin souls will often come from diverse backgrounds and reflect the opposites in the world at large. As they unite, they create unity within different cultures and ideas. The diversity found in twin souls can be seen in any manner found in the world; old vs. young, black vs. white, or any racial difference, or countries at war, or different religions, or they may come from diverse professions or ways of thinking and viewing the world, such as scientific vs. spiritual, or logical vs. emotional. This clearly can make it even more difficult for the two to find the common ground to be together. They often will live far apart; one in a city and the other in the country, or one in Japan and the other in Rome. They may not even speak the same language. One could be poor and one wealthy. You name it, there can be seen any number of differences.